How to renew your license? - How can we help? At the top right corner of your Dashboard you will see your license type (Premium in this case), the no. 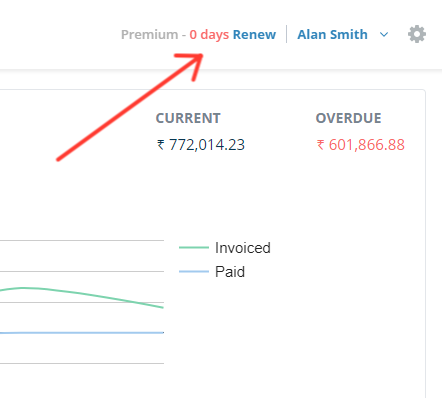 of days your license is still available (0 in this case, which means this license will expire tomorrow) and as you see here, there is a "Renew" button. This appears in the last few days of your license validity. If you click on it will take you to your account details. Here you will see the available plans and prices and click on the green button that says "Renew" and follow the onscreen instructions. How to see the validity of your license? At the top right corner of your dashboard, you will see something that looks like this. It tells you how many days you still have available in your license. In this case, it tell us that license is about to expire tomorrow. Ooops, better renew.